* What Can We Play on Sunday? 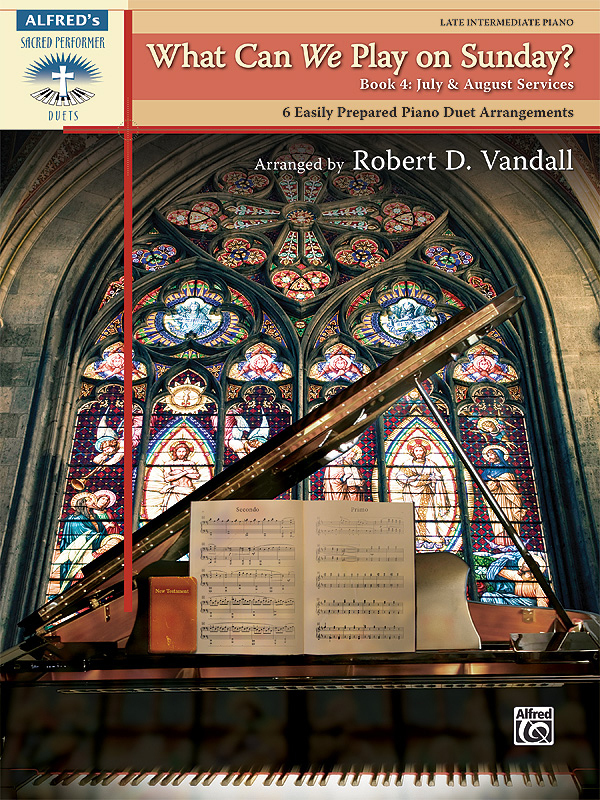 is a series of six books of piano duets (one piano, four hands), each book designed for busy pianists who require accessible arrangements. * It also contains several general hymns. * Titles: Battle Hymn of the Republic, Jesus Loves Me, My Country 'Tis of Thee, Sweet Hour of Prayer / Standing in the Need of Prayer, This Is My Father's World, This Little Light of Mine.